As far as self-published books go, this was actually pretty good. There were areas that I could see should have been shaved or reworked, but overall, it was a pretty polished piece of work; however, my one major complaint is this: It is so long. 430 pages. I’m a sucker for big books, but this one was a bit long for me. But it’s not that this story was bad or uninteresting -quite the contrary. Manzari created a very interesting world that was still more normal American culture than broken world dystopia, which is not something you see very often. Along with her world, she created genetically modified people called Sophisticates. That is one of the most interesting things about this book. She was very creative and original in the way she made these characters and their attributes. I really enjoyed it, though at some points I found it a bit slow and it lost itself in the subplots and scenes that did not further the plot or characters. I will say that it left me with a feeling of affection but not absolute adoration. The characters were endearing, and the love interest is very cute (Ozzy is adorable in a mysterious sort of way). So if you are a sucker for a cute story with plenty of flirty-ness and action, then you might really enjoy this book. I am glad that I was able to read this book and that Ms. Manzari was kind enough to send me a copy. Many of my book-blogger friends liked this book more than I did, so it may just be me and the time that I read it in. Christine Manzari has recently come out with the second book in her series called Conviction, and she wanted to share that awesomeness with all of you! There will be three winners, and three awesome prizes, so make sure to fill out the Rafflecopter. 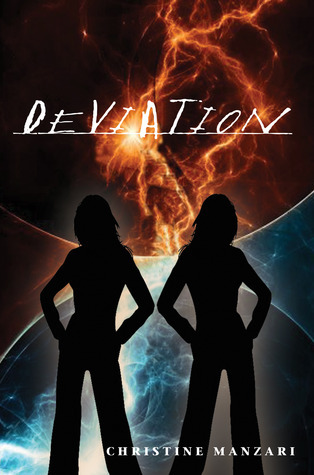 Also, take note that Deviation is on sale on Amazon for $.99 from June 17-23, so if you want to pick it up for your kindle, you can get it here. as well as a $25 giftcard to Amazon or Barnes & Noble, winners choice. in preferred size and style just as long as it's under $25, as seen on this site. Winner #3 will win a SIGNED copy of Deviation and Conviction along with bookmarks.